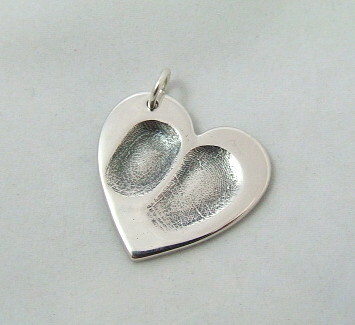 With the invention of a fantastic material called Precious Metal Clay it is now possible to immortalise fingerprints, hand and foot prints and our pets paw prints in pure silver. 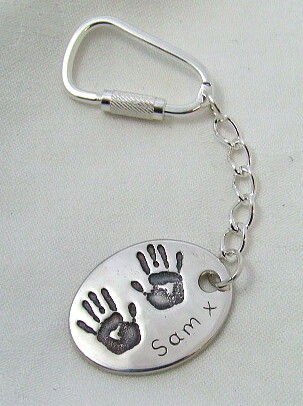 What a wonderful way of making a present unique whether it's cufflinks for Dad/Uncle/Grandad, pendants or charms for Mum/Gran/Auntie, a token of love between Girlfriend and Boyfriend or Husband and Wife. 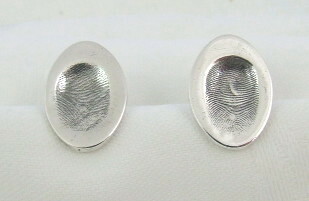 I can create your perfect piece of jewellery at a price that is a fraction of that charged by most fingerprint franchises. 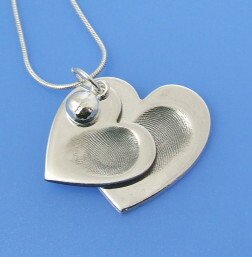 If it's fingerprints you are after then my preferred method of taking the prints is directly into the Precious Metal Clay as this gives you the best possible print and also makes it more special that it's actually been touched by your loved one. 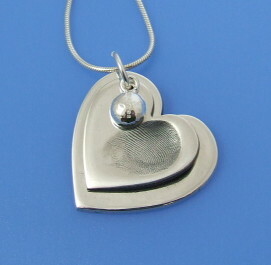 This does mean a trip to my workshop in Sussex. 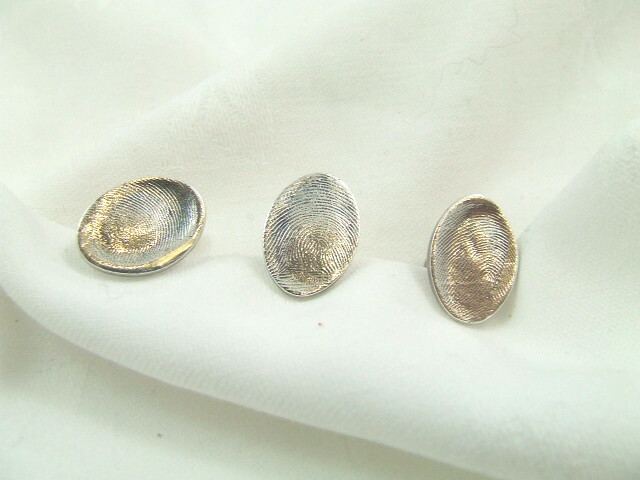 It only takes 10 minutes to take the print and approx 2-3 weeks for me to finish them off, fire and polish them etc., and get them ready for collection. 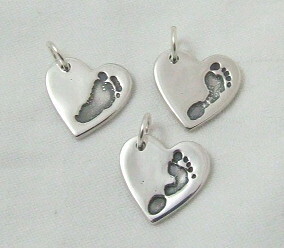 You can have them in many shapes and sizes and I can cost accordingly. 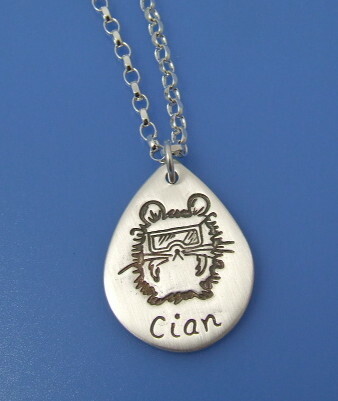 In circumstances where it is not possible to take the print directly into the clay, for example in memoriam keepsakes, please contact me so we can discuss how to take the prints. 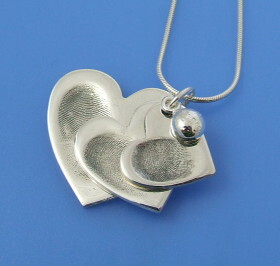 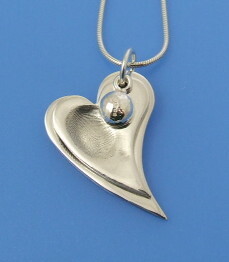 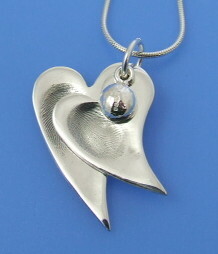 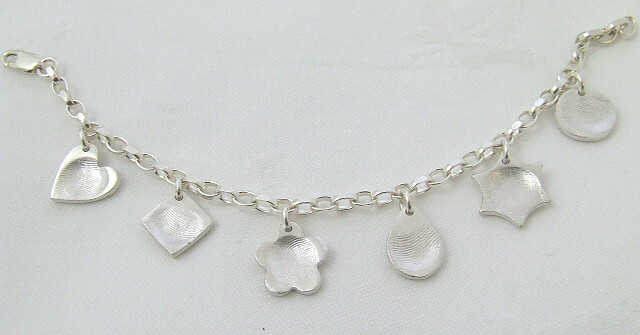 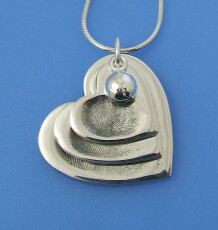 Handprint, footprint, paw print and artwork jewellery does not require a trip to the workshop. 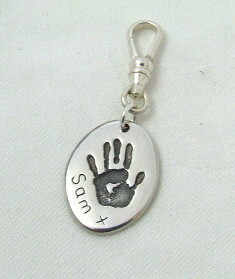 Please phone for details.